The WBC has ordered a fight between Britain’s Dillian Whyte and Dominic Breazeale to determine the mandatory challenger for Deontay Wilder’s heavyweight title belt. American Wilder is expected to face Tyson Fury in a rematch of December’s controversial draw in Los Angeles. Whyte had also been linked with a fight against four-time world heavyweight champion Anthony Joshua. The 30-year-old is the current holder of the WBC silver belt. 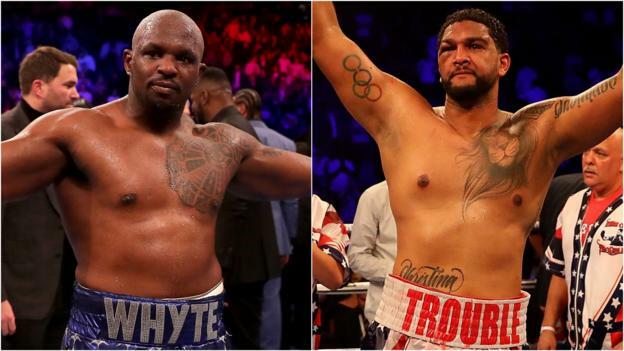 Both Whyte and American Breazeale have suffered only one defeat during their professional careers, both to Joshua. Gymnastics: Do elite competitions need to be more fun?